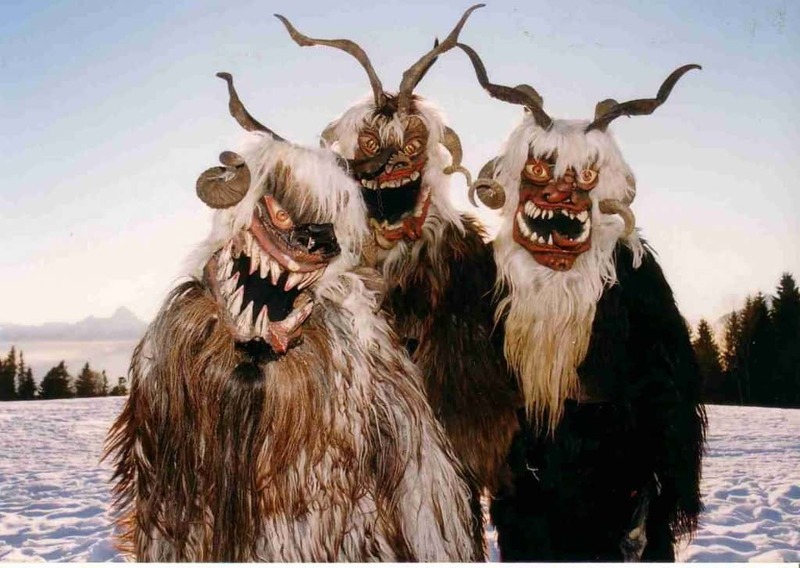 The lore ranges a big from Krampus having some evil helper elves, to having evil demon brothers and sisters, but most of the stories have him traveling with cohorts. 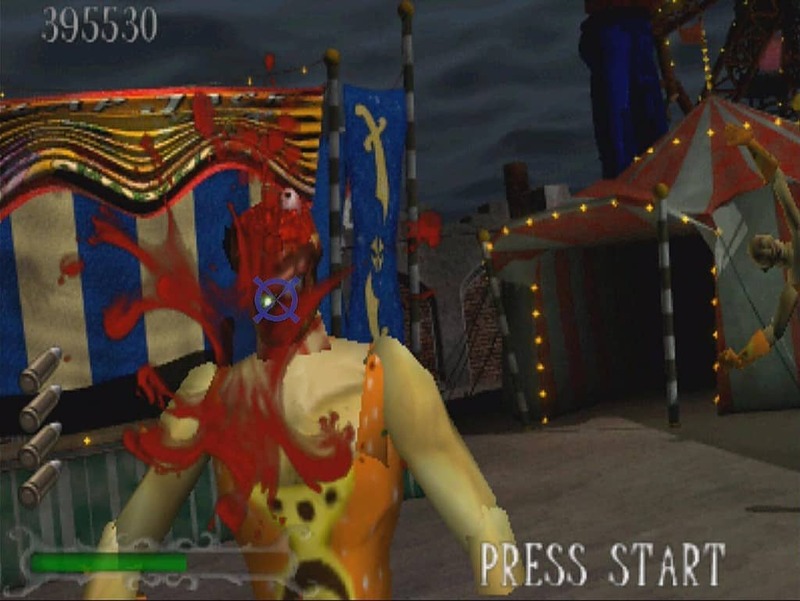 While those evil demons are plenty scary, some of their names are just hilarious. 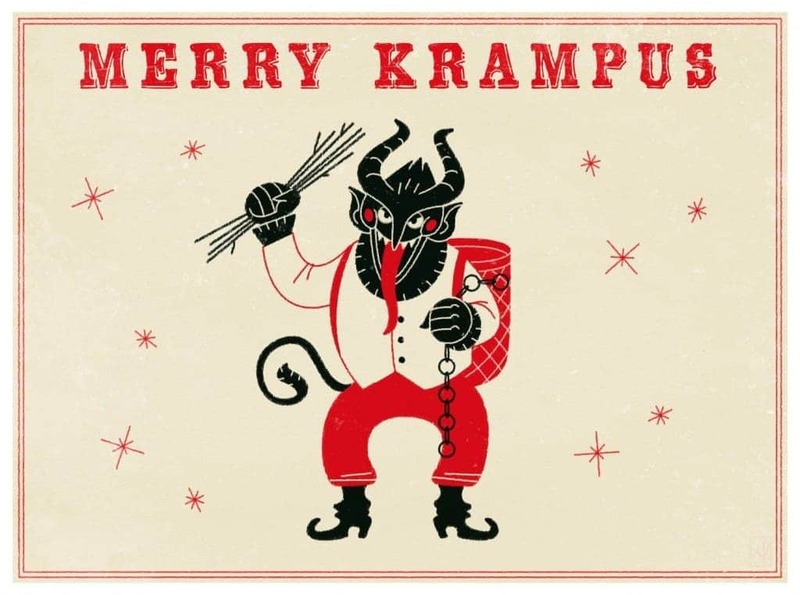 “The Door Slammer,” “The Window Peeper,” “The Sausage Snatcher,” and “The Doorway Sniffer” are just a couple of the 13 evil demons that are all hanging out with Krampus. Just like the stories of his origin can vary, his appearance varies as well. Sometimes he looks almost like a man, while other times he takes on a kind of goat like appearance. The things that are usually common in all tales are him having at least one cloven foot and horns coming out of his head. 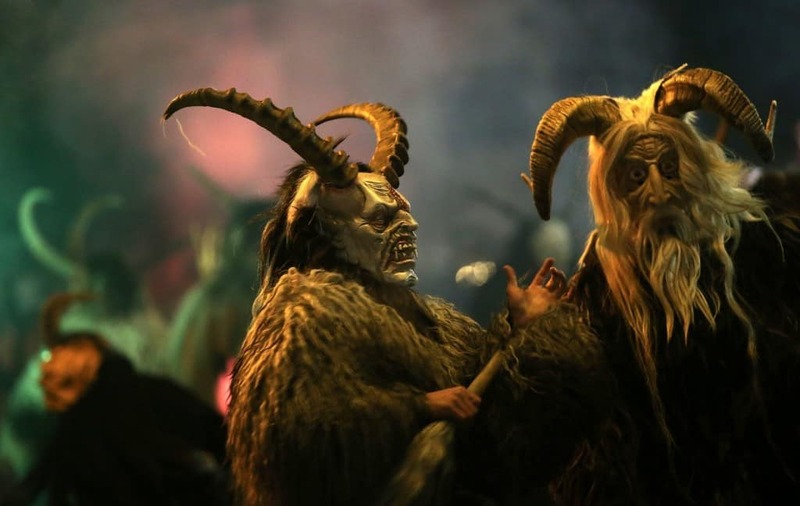 From 1934 to 1938, Facists in Austria actually outlawed any talk of Krampus and also made it illegal to wear Krampus costumes or go to Krampus parties. 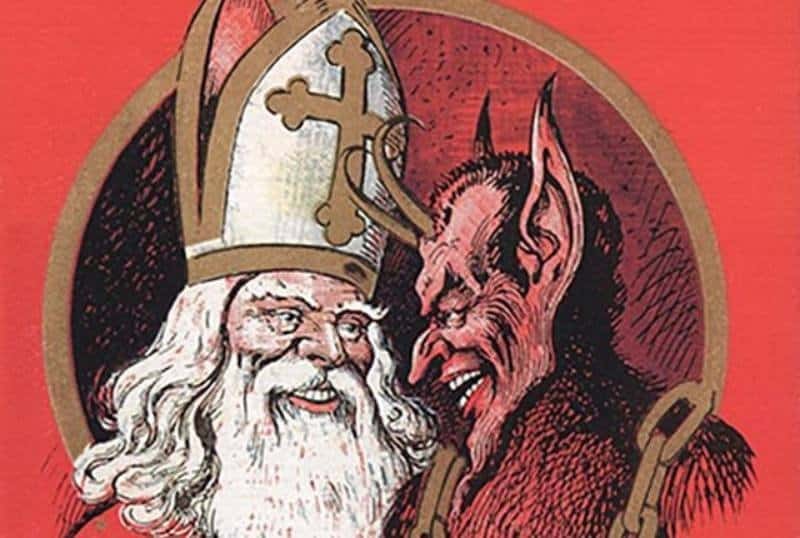 These fascists apparently understood he was a pagan symbol and decided celebrating him was anti-Christian. 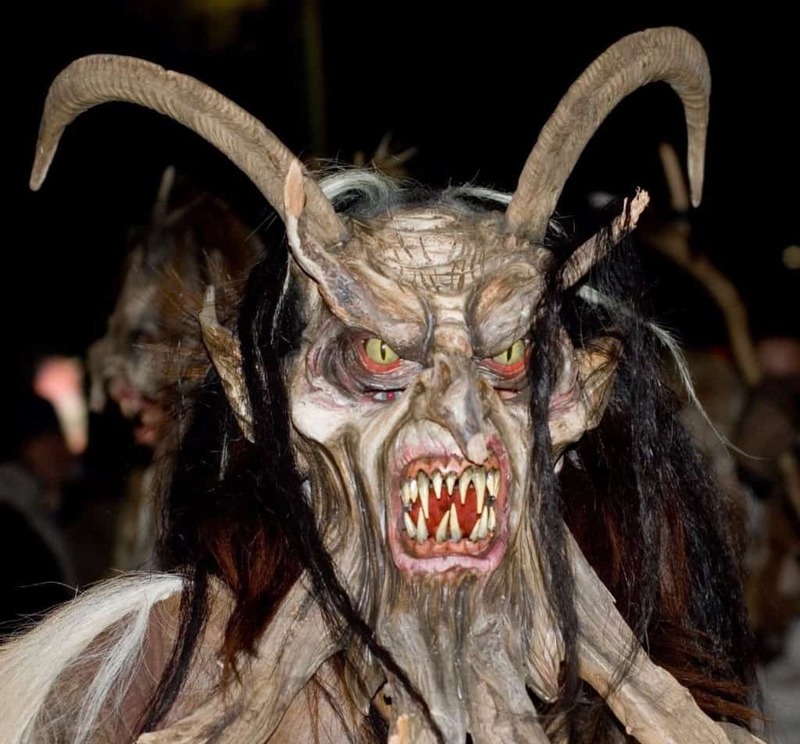 While the creature was really celebrated starting in the 17th century, it appears he was first talked about and even worshipped by a pre-christian pagan religion. 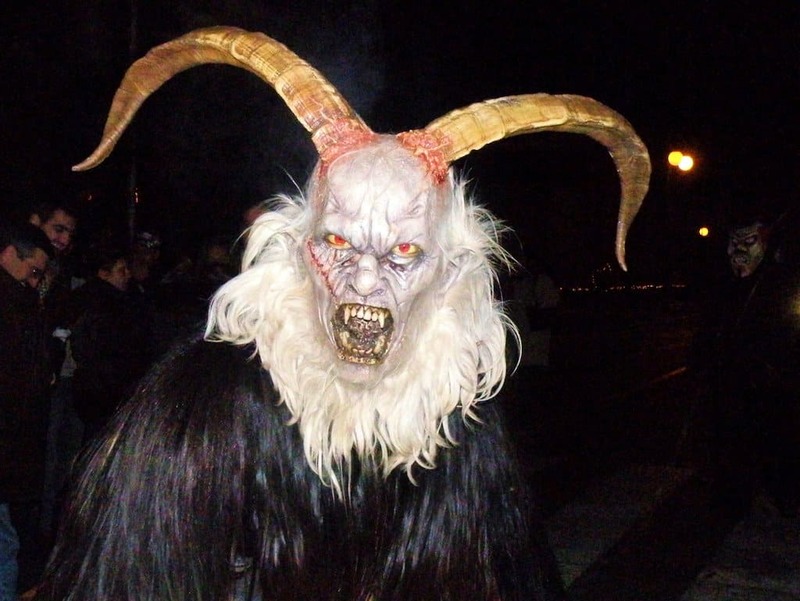 While there are all kinds of different stories about the origins of Krampus, the one thing those stories all agree on, is the thing is some kind of demon. We’re likely not talking about a fallen angel here but something darker and more twisted. He comes from hell and he is known to take people back there with him. 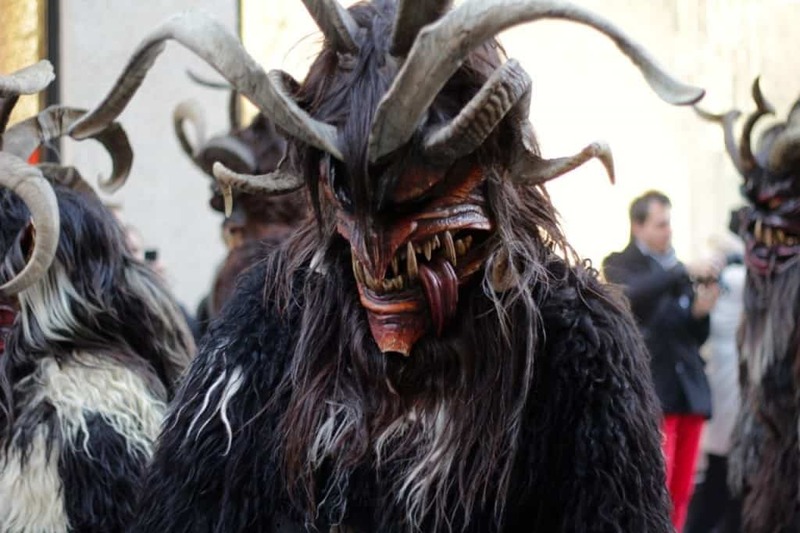 While Krampus got his start in folklore, he’s become a kind of weird folk anti-hero these days. He’s made appearances on television shows in different versions in Supernatural, Venture Brothers, Grimm, American Dad and even the Colbert Report. 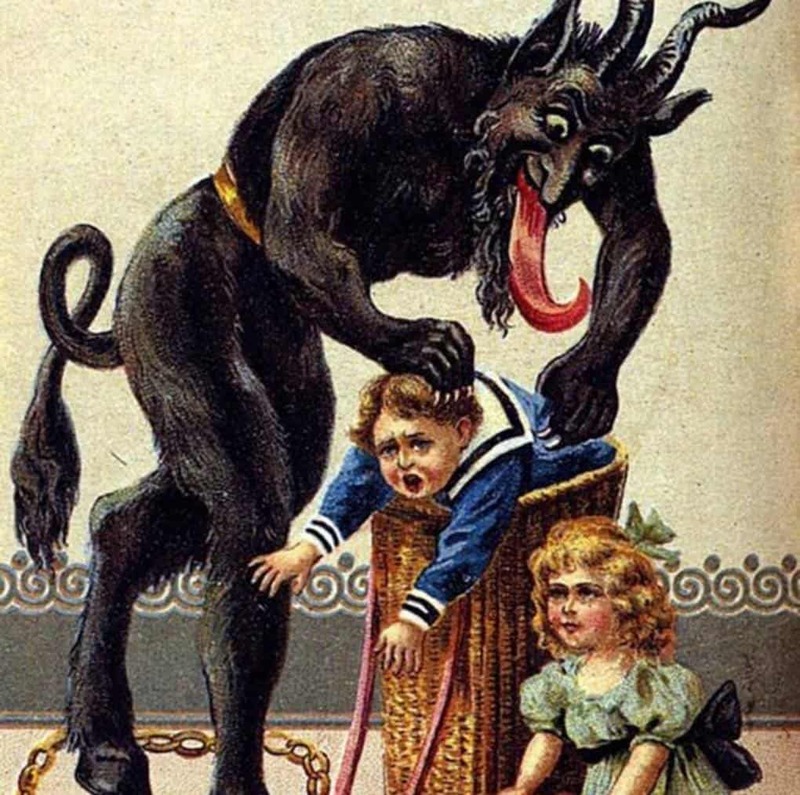 Krampus was originally his own weird monster, but somewhere along the way, he was lumped together with St. Nicholas (Santa) as a kind of supernatural ying and yang. 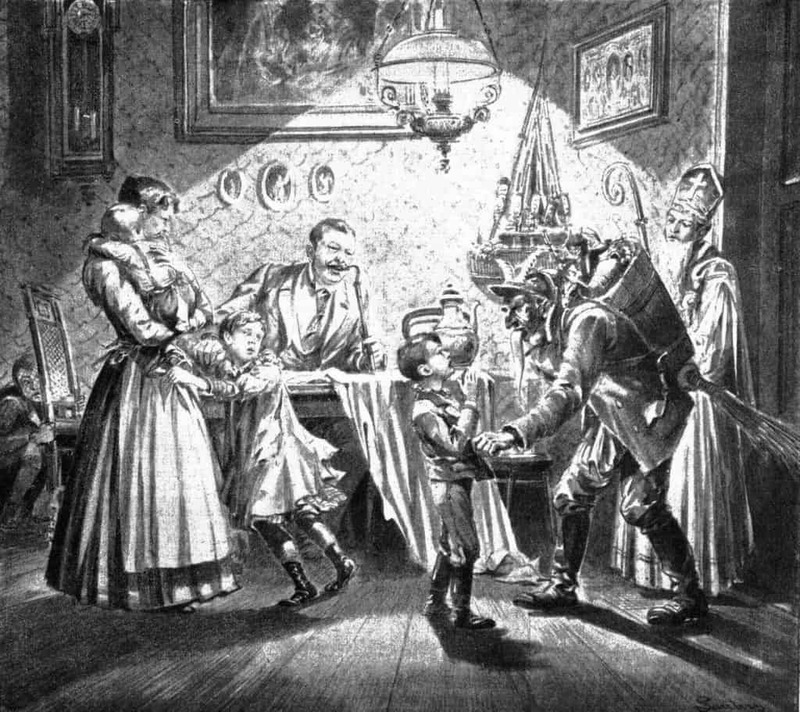 The two have actually been linked since the 17th century.